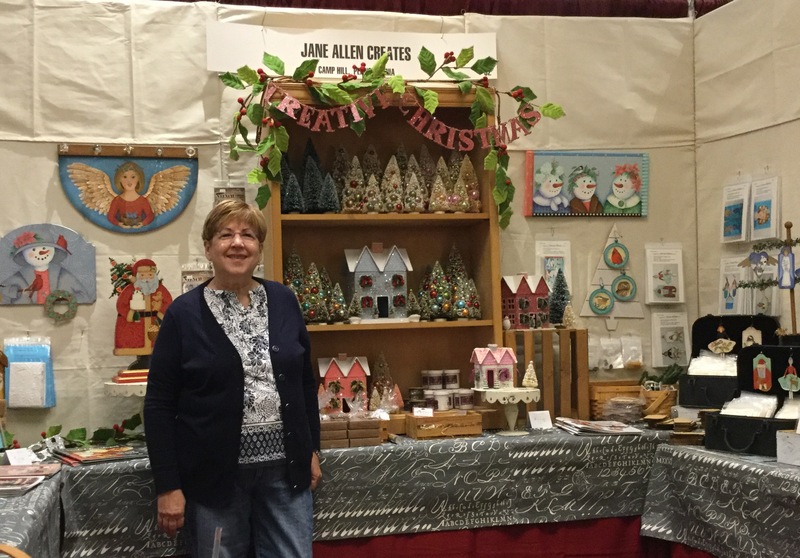 I decided to have a booth at NET (New England Traditions) this year. This has been a wonderful experience for me just being with other creative friends and also meeting new friends. One of the things that truely blessed my heart was having other people coming into the booth and telling me about some of my designs that they have painted. The trade show is probably a little smaller than other years….but all of the booths are wonderful and loaded with lots of fabulous goodies. I thought you might enjoy seeing all of the booths here at the show. I hope you enjoy this little tour and will think about joining us next year. Thank you so much for the photos of NET. I was there every year I lived in New England and that was one of the regrets when we moved out of the area. Your booth looks wonderful and I would have loved to see it in person and meet you in person! I had a great time again a NET this year. It was a pretty rigid schedule with the classes I took but I was beyond grateful to finally meet you Jane. Your booth looked fabulous! Thank you for everything! What an amazing variety of decorative art styles! They’re all beautiful. Thank you for sharing Jane. You are welcome Effie, I love how technology allows us to share and connect. Thank you Rosealee, it was also a pleasure to meet you and I also hope the first of many.